Ball Mill Machine has main function to make the cream for “filling” wafers by grinding all the raw materials inside the main tank. 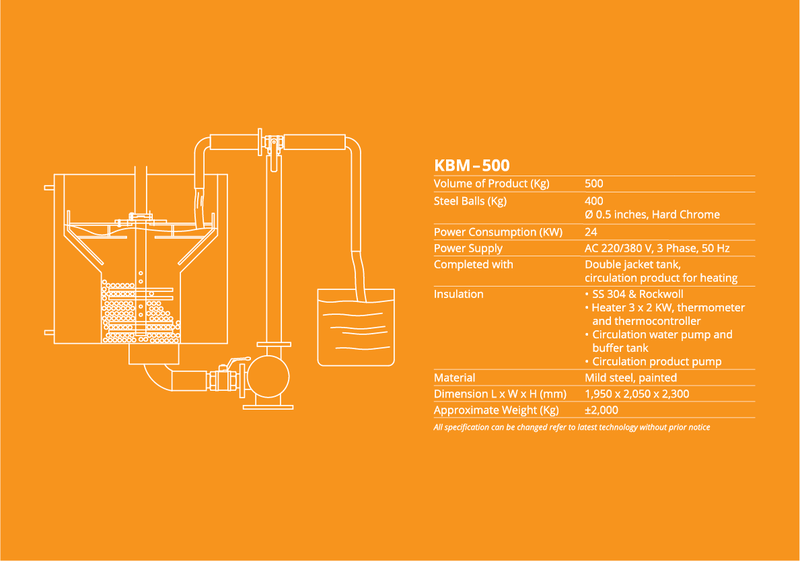 This machine can be applied to make the Chocolate Cream or Vanilla Cream with product volume capacity 500 Kgs. The main motor of Ball Mill Machine is using Germany’s Brand “NORD” which guarantee the strong performance during the grinding process supported by 400 Kgs “Steel Balls” inside the tank that ensures smooth product result. Currently, we are in advance in improving our Ball Mill Machine by using “Stainless Steel” material in the circulation process in order to maintain the quality of the product in the best condition.